Loyal readers of Tennisnerd know that this site is very interested in tennis technology and gear, with a specific affection for tennis racquets and strings and we try to bring you fair and insightful information about the gear that is being released every year by such companies as Babolat, Wilson, Head, Tecnifibre, Volkl, ProKennex, Yonex etc. This article looks at what the racquet retailers produced in 2016, what were the big hits and misses and what can we see happening in 2017? After a couple of lawsuits in the industry, most retailers have shifted their marketing jargon to say that the different professionals endorse racquets instead of the previous strategy (lie) that they actually play with them. One of the key messages of the Tennisnerd posts has been to explain to people that what Andy Murray and Nadal endorse, is not actually the exact same model they play with. In some cases, like with Nadal, it’s not that far off, but in many cases the new model and the racquet the pro uses are miles apart. 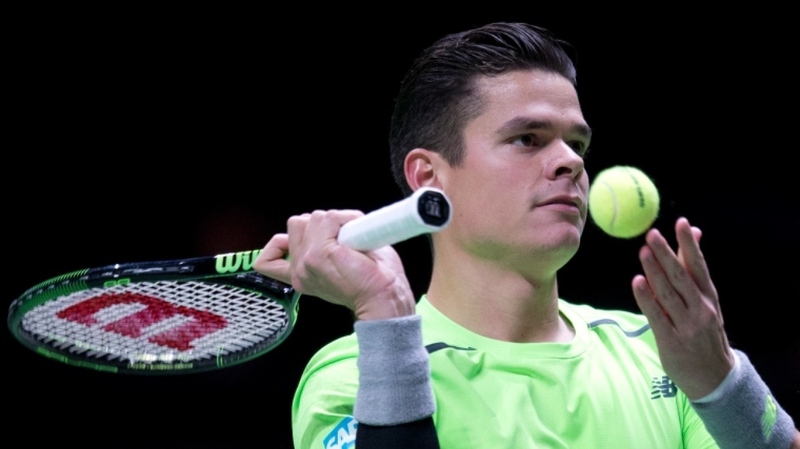 Milos Raonic actually has counter-vail in his Blade pro stock! 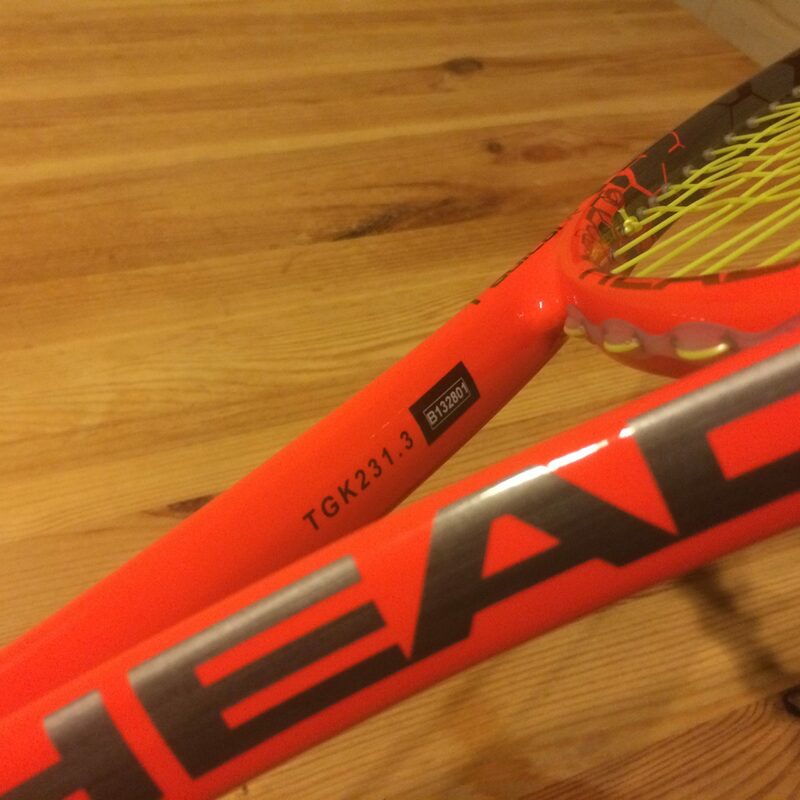 Andy Murray uses a Head PT57A (based on the Head Pro Tour 630) not at all a Head Radical Graphene . Novak Djokovic has a special mould and is not playing a Head Speed Graphene Touch (which is not really close at all). Roger Federer released his signature model together with Wilson in 2014 called the Pro Staff Roger Federer Autograph and in 2016 the racquet got a beautiful matte black update . Rafael Nadal has been with the same Babolat Aero Pro Drive Original since 2004. Gael Monfils does not use a Wilson Blade 18×20 2015 , but a Wilson Pro Stock H19. 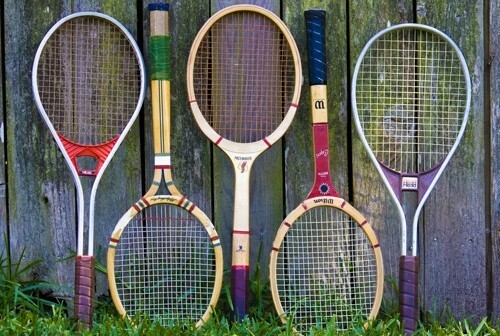 These are just a few examples of racquets that are marketed and sold by the players, but are not used by the same players. I really respect Wilson’s decision to release autograph models for Roger Federer and Serena Williams (Prince also did for the Bryan Brothers). It is a gutsy move because not a lot of recreational players are going to be happy with 340+ grams, but then you can release lighter models like the Wilson Pro Staff 97 or Wilson Pro Staff 97 LS . THE SPIN IS DEAD. LONG LIVE THE TWEEN. 98 inch head size, 16×19 string pattern, 310 grams weight, 64 RA in stiffness, 21′ beam. 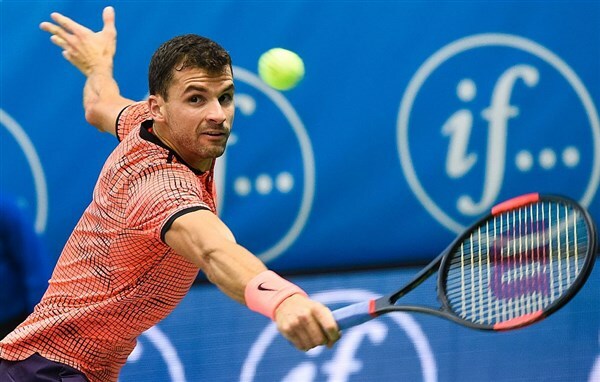 One of the racquets in the tweener class that took the tennis world by storm was the much praised, pushed and bought new Babolat Pure Strike that was initially labelled Project One 7 in a clever marketing ploy by Babolat. With their superstar talent Dominic Thiem playing amazing in the first half of the season, the interest around the new Pure Strike (after the failure of the first generation) was a record high for any tennis racquet. It also received great reviews from Tennis Warehouse, Tennis Express and other video reviews such as Top Tennis Training. Is it a great racquet? Maybe. It’s hard to define great these days with the amount of gear coming out. A truly great racquet would be a Wilson Pro Staff 85 or Head Pro Tour 630 or possibly the first Babolat Pure Drive (Original) but judging from the reviews it might be. There are so many good tweeners out there these days: the Yonex Ai/DR 98 , the Wilson Blade 98 , etc. I’m going to be honest with you, I was about to fall for the hype and pick up a Pure Strike myself, but then I just fell in love with the Tecnifibre Tfight 315 ATP Ltd 16×19 and didn’t get the chance to try the new Pure Strike for myself (I did not like the old one!). I’ve heard both good and bad from other players though. I think it has a broad appeal, much like the Yonex DR 98 , but I’m unsure if it’s the magic bullet to reinvent your tennis game. But hey, what racquet is? Head tried to update the polarizing Graphene series with a more touch and, hence, called it just that. 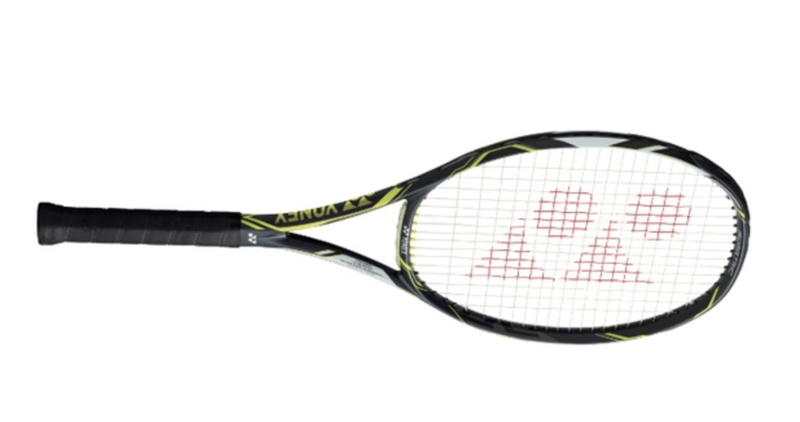 Head Graphene Speed Touch MP came out as Djokovic’s endorsed stick and it got decent reviews. Graphene still seems to be somewhat of a “trouble-maker” for Head who used to such a classical tennis brand with the great Zebras, Candycanes, the Pro Tour etc. But the stiffer, tweenier territory was something they had to venture into when Babolat started crushing the market. Most old-school tennis fans miss the soft and precision-based feel, but the new Graphenes have found a fan base, especially the radical line. Being somewhat of a racquet purist, I still look back at the Microgel (the Radical MP was great customized) and even IG series (played the Prestige MP for a long time) as a wonderful line of racquets and having hit with the Graphene Radical for a few hours did not gel with me personally, however, if you get for example a Head Graphene XT Radical Pro , and you’re looking for a modern, crips stick, you probably won’t be disappointed. So this is where the game is headed, the 98-inch, 310 gram, 64-ish RA, tweener racquet. It’s probably not a good idea to even call it a tweener anymore. This is what the next generation will be using. I can’t really mentioned new racquets of 2016 without mentioning Tecnifibre, the official ATP partner and the racquet brand I myself currently use. This year they released the Tfight DC series , in a French-inspired colour-way. The DC series is an update from the Dynacore series, which I have a feeling wasn’t a great success for the French racquet maker. 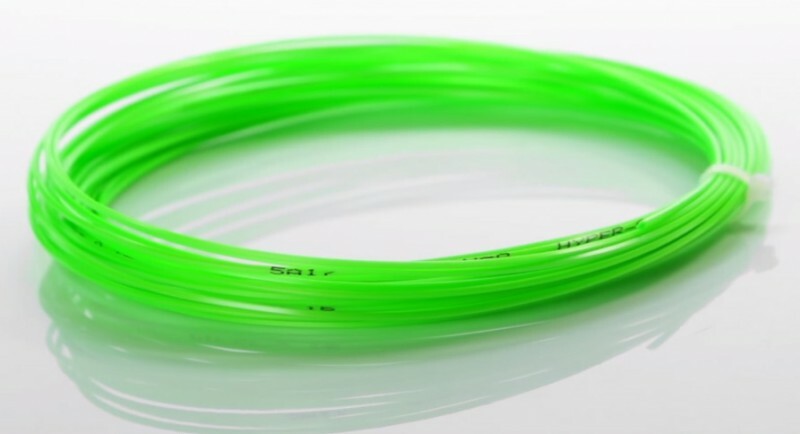 It at least didn’t make for any rave reviews and I think Tecnfibre has tried to enter the same segment as everyone else, with stiff/crisp racquets around the 300-315 gram range. Tecnifibre to me has before always given you a small, but extra sweet sweet spot and I think it’s the same with the new line. But when you add stiffness to the frame, any hit outside that sweet spot will be more jarring and that’s why I think the DC line will have a hard time finding a following. For me personally, they struck gold with the Tight ATP Ltd series and should have remained in that ball park of racquets. So what is the general trend of tennis racquets? Well, they all produce pretty much the same specs but they try different technologies to get the best possible response as well as a feeling of “innovation”. 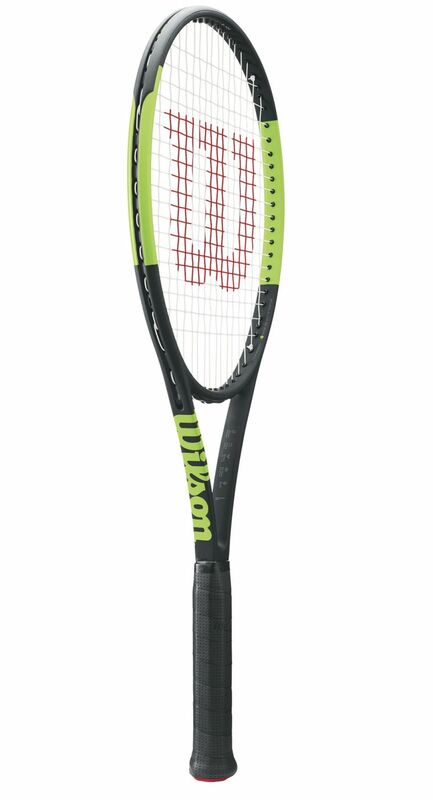 Wilson has released their Countervail Blade line with the intention to reduce shock, Head has added touch (comfort?) to their stiff Graphene, Yonex entered spin territory with their SV (spin vortex!) line, Babolat has tried to even out the flex in their boardy Pure Strike line, and a brand like Pro Kennex keeps playing around with their “kinetic” material which moves around in the racquet to optimize kinetic energy and reduce shock to your joints. If you look at most these “innovations” and technologies it’s all aimed at reducing the shock of the frame and making sure you can get an easy-to-use, yet powerful frame that still doesn’t give you tennis elbow. It’s a far better trend than the spin effect sticks, but it’s hard to know whether it actually works. Stiffness ratings goes up to give more power and so the racquet manufacturers need to find a way to keep people healthy. Makes sense. 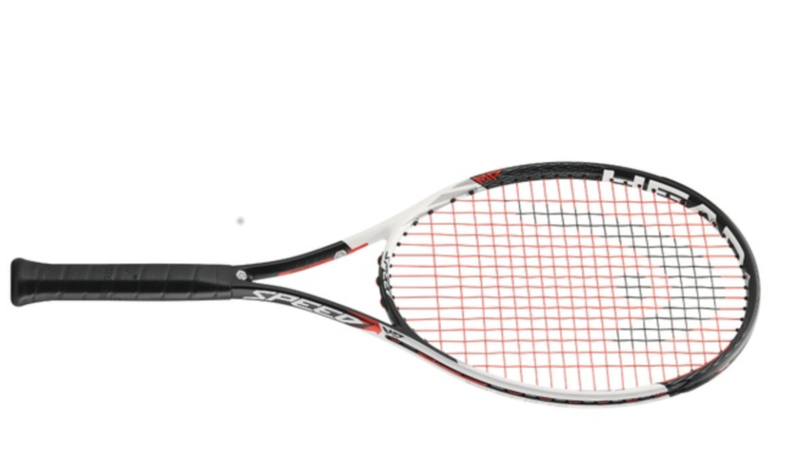 I’m a racquet traditionalist so I prefer the low-range of the mid-plus head size (95 inch) and would rather increase the racquet’s weight and improve my technique to get power instead of buying a stiffer racquet. I think it keeps my technique true and doesn’t allow me to cheat on my footwork. But each tennis player to his or her own. It’s easy to see where the racquet companies are heading anyway. Tennis racquets are going tween-ish and strings are going spinnish. It’s quite logical really, when you have strings giving you optimal bite, why do you need a 16×15 string pattern? It just makes for a ridiculous launch angle. We have seen more advancements in tennis strings than in tennis racquets the last ten years and the main hero has been the polyester string. This doesn’t mean that a lot of pro players and amateurs are still using natural gut (I just bought a Babolat VS Touch myself ), especially to hybrid with, but most players are going all poly. My own personal go-to poly string came out last year and it’s called Solinco Hyper-G and it gives you a spin-friendly and relatively durable performance without killing your arm. It was said to be created for American tour pro Donald Young, but it has become a best-seller used by a lot of pros and amateurs. In the tennis string business we see a few challengers trying to innovate the business, which is always fun. Last year, Diadem came out with a really good string called Diadem Solstice (there is Pro and Power) that I play-tested extensively and really liked. The new thing about Solstice strings is that their star-shaped which really does improve the spin potential. Their new offering, Diadem Elite XT got decent reviews too, but, like with so many other polyester strings, seemed to suffer from durability. 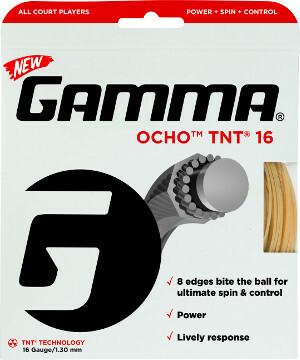 If we talk about string shapes and adding spin, Gamma released a string they call “Ocho“, which, as the name implies, has eight sides for MASSIVE spin production. However, Gamma Ocho is a multifilament string, not a poyester which makes controlling the power of it a big issue. But it does take the cake when it comes to comfort. A poly that is supremely comfortable is the new ISOSPEED Cream which is like hitting with a pillow but still gives you decent spin. It’s not maybe the string for you if you’re looking for feedback and pinpoint control, but if you like a poly with power and comfort it might just be the “Cream”. Isospeed also has another interesting string out which is more of a spin-maker. It’s called Isospeed Pyramid and is remarkably soft for a shaped co-poly string. Other decent strings that have come out this year is the Kirschbaum Pro Line Evolution which plays rather similar to the Solinco Hyper-G and the Laserfibre Vorso which is probably more suited to advanced players. 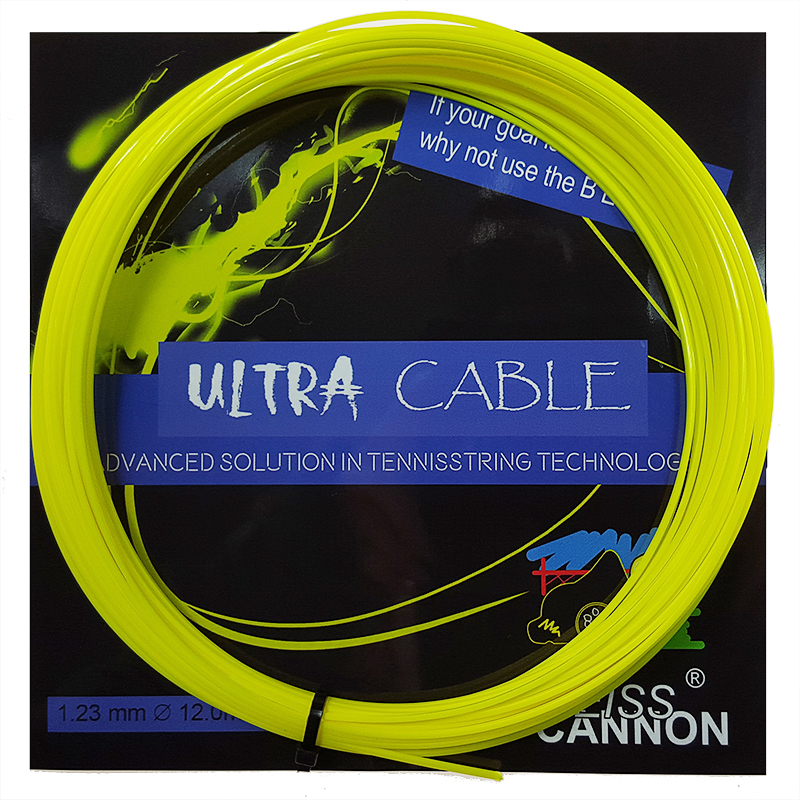 Another string brand I really like is Weisscannon , with great strings like Mosquito Bite, Silverstring , and the massively spin-friendly Ultra Cable. Talking about new strings, I can’t forget to mention RS Tennis which is Robin Söderling’s tennis brand that has made some waves in the industry with great tennis balls as well as an excellent string with RS Lyon. 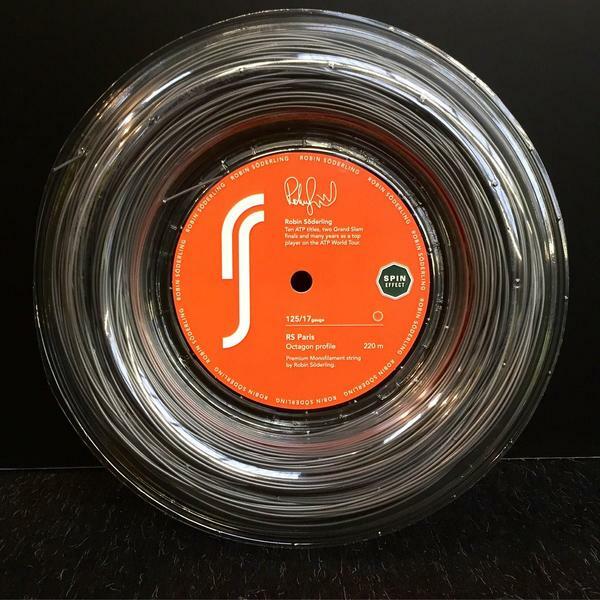 Not many weeks ago RS Tennis released their new string called RS Paris (another title that Robin Söderling won) and it’s supposedly a slightly more powerful and spin-friendly string than Lyon. I have yet to try it so hope to give you a full review, but RS Lyon has been a go-to string for me and I’m now testing it in a hybrid with the Babolat VS Touch natural gut . In short, there are soooooo many strings and string brands out there now that your head is spinning more than the ball trying to choose between them all. What are we going to see from the tennis companies next year when it comes to racquets and strings? It’s usually hard to predict, but being a tennis gear junkie, I’m going to try. I think the comfort trend will continue both for racquets and strings. Players are becoming more and more aware about their bodies and with the massive swing speed required in today’s modern game and racquets getting lighter and stiffer, racquet companies needs to find a way to soften the shock to our joints. So we will see more tweeners that pack a punch yet have a softer feel. We might not see lower stiffness ratings, but we will see different dampening technologies like Countervail hit the market. We will probably see the same thing for strings. I don’t think there will be huge strides around durability, but finding a mix of comfort, control and spin will be the magic ingredient. I realize there is time to do a post about racquet technologies such as Countervail, Graphene, Spin Vortex and more. There has been a bunch of “funny” ones through the years. But that is one for another time! Tags: tennis racquets 2016tennis racquets endorsed by the prostennis racquets for advanced playerstennis strings of 2017what tennis racquet should I usewhat tennis string is good for my racquetwhich racquets do the pros use? Re the poly strings, I’m mainly using Cyclone/Cyclone tour because I found them pretty comfortable to play with – decent spin,power and durability on a great price. Could you please suggest something similar durability/price that has a tad more power without sacrificing the rest of the qualities too much? I have a few favourite semi-powerful and relatively spin-friendly poly strings: Solinco Hyper-G (my go-to-string) but a little expensive, Weisscannon Silverstring and RS Lyon. I must say Weisscannon as a brand create great strings without costing an arm and a leg. Let me know what you decide on. If I think of more strings, I will let you know. I Still have a couple of cyclones lying around but will definitely try the RS Lyon and Weisscannon. I just checked a couple of options, probably will go with Red Ghost and/or Mosquito Bite. Might even give Solinco Hyper-G a try. The thing is, I sometimes have to compensate for my lazy legs syndrome so I rather not got with a firm, underpowered, string.